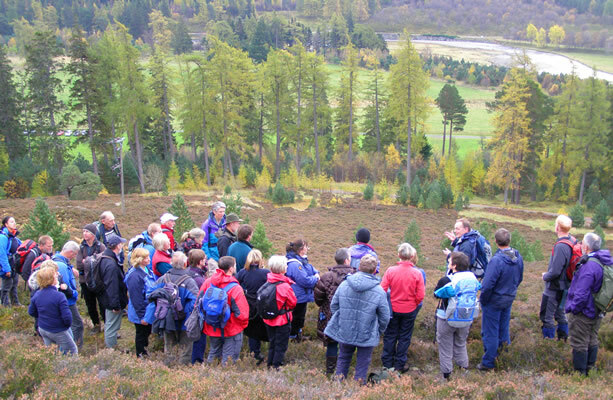 We held a highly successful Autumn Day at Mar Lodge in October. This was a chance to get our Individual and Club Members together and to invite along a few local non-Member Hill Walking Clubs to learn what we are all about. In the morning, in the incredible Stag Ballroom, we discussed NEMTs history and the key challenges ahead of us. NEMT has a rich history and has played a key part in achieving some notable successes such as stopping the proposed super quarry at Longhaven and the ski development in Lurchers Gully. Going forward, we see the challenge as finding the right balance in working with other NGOs to co-ordinate and hence maximise the impact of our message and in keeping a distinctive North East flavour to our activities. We have local access to high quality expertise and this considerably enhances the usefulness and quality of our submissions to bodies who have relevant proposals out for consultation and to other NGOs. The slides from our presentation will be posted onto our NEMT web site. 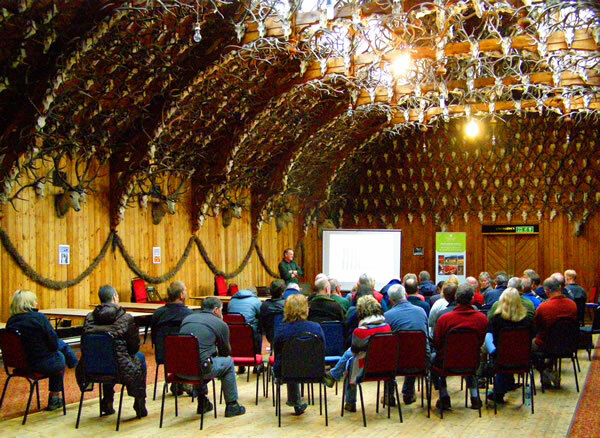 We then had a talk from Peter Holden, the Senior Ranger and Naturalist at Mar Lodge, on the work that the National Trust for Scotland is doing on the estate. Although well aware of Trusts policy and objectives, it was real bonus hearing Peter talk about it in detail. The ongoing review of deer management on the estate was discussed, albeit rather one-sidedly as, not surprisingly, everybody in the room was in favour of the existing policy. Over lunch, people took part in a Identify the Photograph competition very ably organised for us by Kenny Ferguson and Kenny Freeman. As in the past the photographs were excellent but there were wide variations in local knowledge! Thank you the Kennys for organising this and to the donators of our prizes, as follows: 1st prize, a lunch for 2 at the lovely Victoria Restaurant in Dinnet, won by Neil Findlay, 2 prize, a Speyside Malt, won by Sandy Mcintosh of Cairngorm Club. 3rd equal a 20kg bag of SEER Rockdust won by Ann Mitchell with Jed Riley winning a Hilltrek Token as 3rd equal. In the afternoon Peter Holden led us on a walk-about to show us the tree regeneration taking place, with a definite bonus being a low-flying Golden Eagle that came by to check us out. NTS has been having a bit of a publicity offensive recently with Shaila Rao, the Mar Lodge Ecologist placing articles in the NTSs own magazine, and the Journals of John Muir Trust and the Royal Scottish Forestry Society. The articles are well-written, easy to follow and informative  well worth reading. This publicity drive is probably a bit overdue. Their work on both deer management and removal of hill tracks has been trail-blazing and they deserve greater recognition. 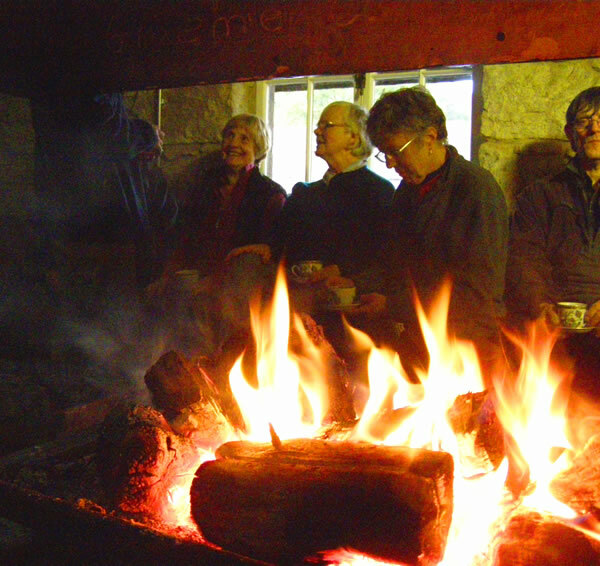 We were then welcomed into the old bar, with a lovely log fire burning under the old copper lum and where we were provided with a good cuppa and biscuit, before heading for home. You could tell from the banter that folk had enjoyed themselves and had had a fine day out. From NEMTs point of view, we gained some new contacts and some new people willing to help. Just what we were hoping for!.